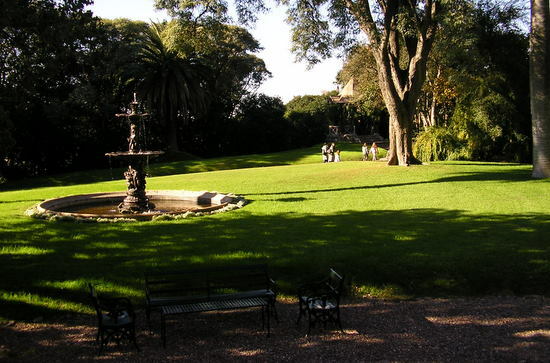 Founded in 1706, San Isidro was a welcome relief from the stifling humidity and heat of the Pampas and Buenos Aires. For most of the 18th and 19th centuries is was a prosperous river port for produce from the estancias. By the later 19th century affluent families had built large summer homes. The early 20th century brought the railroad and the automobile making daily commutes into Buenos Aires possible. 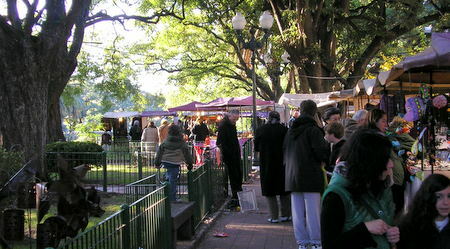 San Isidro remains a desirable community with one leg in modern Buenos Aires and the other in Los Pampas traditions. 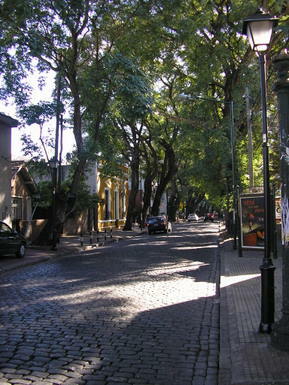 The old cobbled streets are thickly lined with trees and handsome colonial homes. 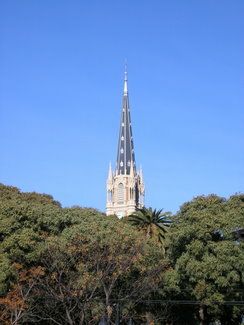 Even its cathedral is palatial, set on the unique multi-level Plaza Bartolomé Mitre. Every weekend the Plaza is the site of a large crafts fare. Trendy stores and restaurants line the shopping district. Outside the historic core, the houses are more modern and even larger. Restaurants tend to be perfectly adequate but prices are 35% higher than comparable places in the city. 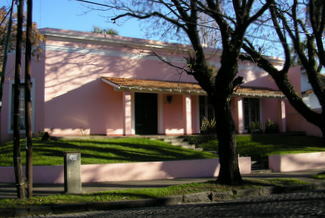 Casa Pueyrredon, the Museo Histórico Municipal Brigadier General J.M. De Pueyrredón, River Indarte 48, was built in 1790. 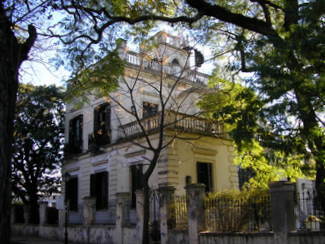 This national historic site was the home of Juan Martín de Pueyrredón y O'Dogan, (1776 – 1850), an Argentine icon and founding father. This classic, late 18th century Spanish hacienda, is set among simple gardens and lawns on a promontory with panoramic views over the Rio de la Plata. 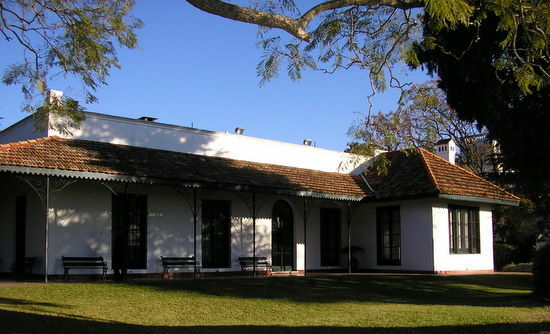 The Museo has a good collection of historical documents relating to Pueyrredón's military and political accomplishments, the Wars of Independence and the struggles to establish stable government. 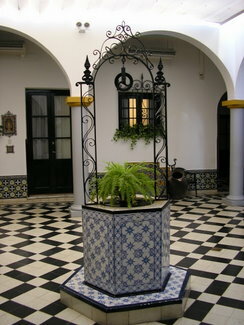 Several rooms are furnished as a house museum with antiques of the time period. For serious scholars, there is a research library in the museum. 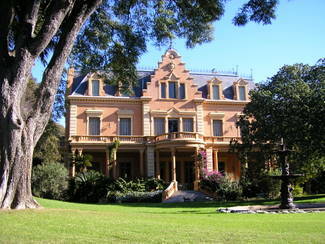 The house was preserved for many decades by a prominent Argentine doctor as his family home before donating it to the nation. Opening hours: Tuesday - Thursday 10:00 - 6:00, Saturday & Sunday 2:00 - 6:00. No admission charge. 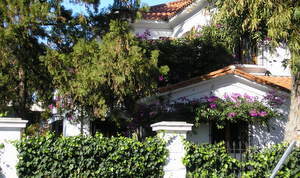 A tour of Villa Ocampo, home of Victoria Ocampo the legendary journalist, feminist, horticulturalist and political activist, is a reason in its own to visit San Isidro. San Isidro is a pleasant day trip. The fare on direct busses from center city is less than US$1.00. From Retiro Rail Terminal, the Tren de la Costa, stops in San Isido ending in Tigre, for less than US$5.00. 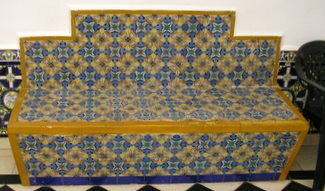 Taxi will take 20 to 30 minutes, depending on the time of day, and average US$16.00.